Fabry disease (FD) is a lysosomal storage disorder resulting from a deficiency of lysosomal enzyme α-galactosidase A (α-gal A). Reduced or missing α-gal A enzyme results in the storage of globotriaosylceramide (GL3) and related glycosphingolipids in the cellular lysosomes throughout the body. The majority of GL3 buildup occurs in the body’s vasculature resulting in narrowed blood vessels and an increased risk for strokes, transient ischemic attacks, and deep vein thrombosis. Theoretical concerns have been raised about increased pregnancy complications in women affected by FD as glycosphingolipid storage has been found in both maternal- and fetal-derived placental tissues. This retrospective study was conducted to better understand risks for women with FD during pregnancy. Survey questions included queries about prenatal medications, teratogenic exposures, prenatal testing, common pregnancy complications, Fabry symptoms during pregnancy, obstetrical history, and immediate neonatal history. In total, 41 affected women completed the survey. Results indicate several Fabry-related symptoms and features may worsen during pregnancy, including gastrointestinal symptoms, acroparesthesias, proteinuria, headaches, and postpartum depression. Although no life-threatening complications were reported, a statistically significant increased frequency of hypertension was observed when comparing data from this study to the general population (p < 0.05) and previous publications (p < 0.001). Limitations include sample size and recall bias. 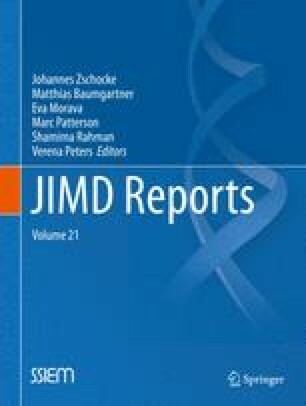 Though this survey sampling of women was small and required women to recall their past pregnancy experiences, the findings suggest that when pregnant, women with FD should be aware of potential worsening of FD symptoms and may benefit from consulting with a maternal-fetal medicine specialist. Thank you to collaborating institutions that helped spread the word of this survey to their patients. Our acknowledgement and gratitude also to the National Fabry Disease Foundation and Fabry Support and Information Group for distributing information about this survey to the patient mailing list. Thanks to Emory University for funding this study and to Tianchi Zhang, MPH, for providing statistical support. Lastly, thank you to the many women who participated in completing the IFOP survey. We hope the data collected from this survey will further benefit women with Fabry disease. Based on retrospective review, pregnant women affected by Fabry disease do not have life-threatening complications but may experience worsening of specific disease symptoms. Alexandrea Holmes declares no conflicts of interest. Dawn Laney has received research grant support from Genzyme Corp., Amicus Therapeutics, Synageva Corporation, and Shire Plc and serves on the Genzyme Fabry Registry Board. All procedures followed were in accordance with the ethical standards of the responsible committee on human experimentations (institutional and national) and with the Helsinki Declaration of 1975, as revised in 2000 (5). Informed consent was obtained from all patients for being included in the study. Planning of this study and oversight was coordinated by Dawn Laney. Data collection, analysis, and preparation of this manuscript were performed by Alexandrea Holmes.